Garden Warfare release date has been confirmed by EA. It will be hitting stores on February 18 for the the Xbox 360 and Xbox One. EA has revealed that not only will the next-gen version feature improved visuals, but it will also have the added option of split-screen gameplay. Whereas the Xbox 360 version will only offer online multiplayer. Additionally, the publisher will be bringing a Boss Mode to the Xbox One version, something similar to the Commander Mode from Battlefield 4. Players can utilize a tablet or the Kinect to manage the action from above. There will be a total of 10 maps and three modes available at launch. However, the company plans to release more content in the future and that will be free to all players. Aside from that, players can access the in-game shop to purchase customizations and weapons using the game’s currency. These can also be obtained through real money using a micro-transaction to speed things along. 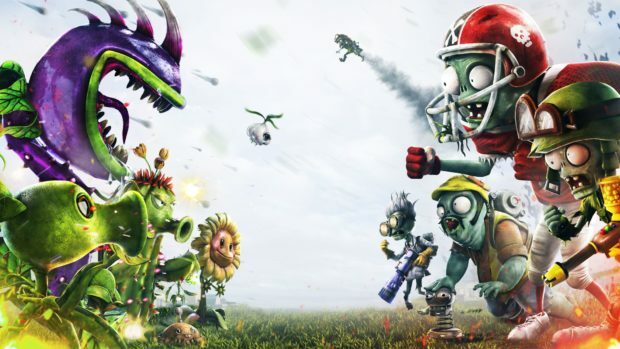 A new video released shows considerable gameplay and also examines the different classes on both the Plant and Zombie teams. You can check that out above. Plants vs Zombies: Garden Warfare will be priced at $29.99 on the Xbox 360 and $39.99 on the Xbox One. The PC version will be available at the same time but a price has not been confirmed.